Welcome! We are so glad you are here, desiring to lead your child(ren) to Christ. We gather together as a tri-parish collaborative (Christ King, St. Bernard, and St. Pius X) to offer the children of our communities a place to encounter God and grow in a life of discipleship through the Sacramental life of the Church. 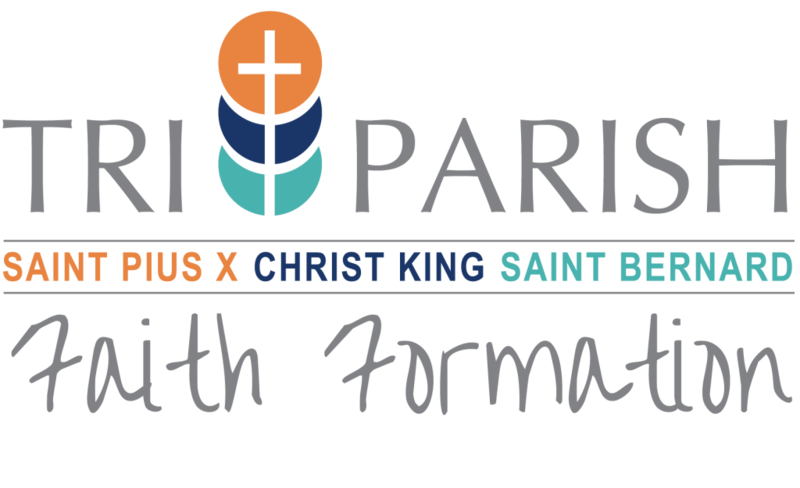 For more information on the 2018-2019 Children's Formation and registration information please click here to visit the Tri-Parish Faith Formation website.